"The Junior Camp was a huge success this year, in my opinion surpassing the camps that I have been involved with in previous years. This was largely due to the location, coaching team and organisation of the camp. The camp was based in Cromwell, which provided good access to a variety of maps and terrain. The first day we trained on Earnslceugh, where nationals long distance was held in 2010. This was a perfect map to open the camp with, as it facilitated coaching of the basic and most fundamental techniques. Nick and I prepared a 4-quadrant training, which emphasised a different technique in each quadrant. From rock only to corridor, the needs of every athlete were met. The second day took us to two brand new maps, made by Fraser Mills. I dont think there has been a training camp in NZ where we have run on 3 brand new maps (on our first day we did a short exercise around Queenstown Gardens). The morning training was held at Hikuwai, just out of Wanaka, and is a map I am now calling the best non-urban sprint map in NZ. 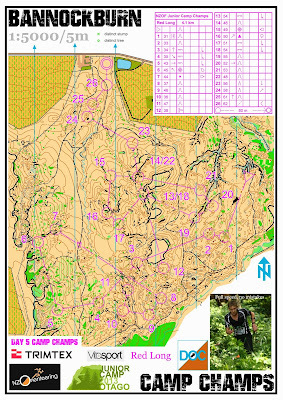 It was a truly inspiring map, stimulating those feelings that every orienteer lives for. New crazy terrain, with good runnability, mapped amazingly. 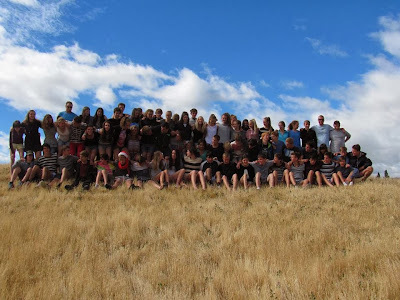 The afternoon we had sprint camp champs on the local Wanaka schools maps. The race had full quarantine for all athletes and sport ident. The fastest times were run by Devon Beckman and Kayla Fairbairn. The third day we had our longest drive out to the iconic map of Naseby (of Shamus, as it became well known as). The map has a little bit to be desired, but the terrain is absolutely fantastic. We focused on route choice and speed control in a longer session in the morning and finished off with the flying Shamile, in which the finish control was in the lake. The final day was the official Camp Champs. Nick Hann and I ran the course at night, 9 hrs before the first starter of the race. We had decided to use Bannockburn for the champs, as it was probably the most special and unique terrain of all the maps we had access to. 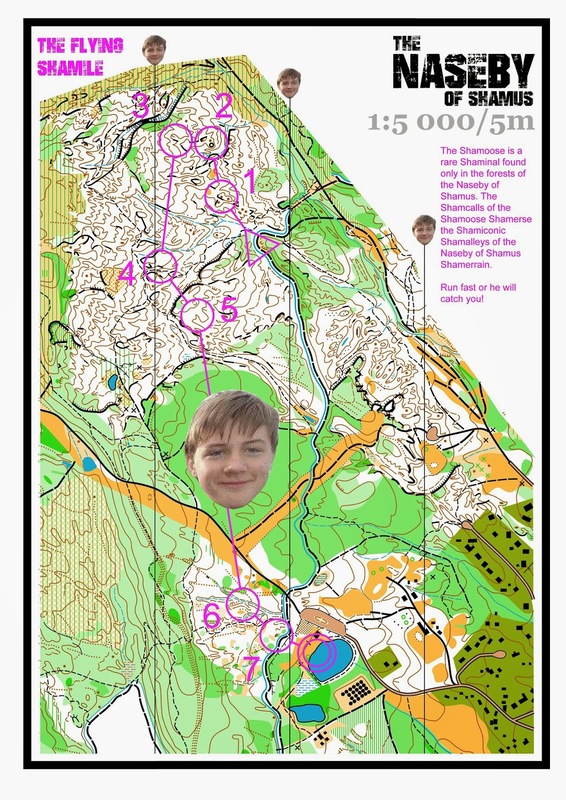 This year (like in 2011 Junior Camp) we simulated a JWOC race, with full quarantine, warm up maps and a bulletin for the race the night before. Overall the camp champs were a fabulous showcase of top level racing, and the kids did not fail to deliver on their part either, running some extremely fast times. The champions at the end were Nick Smith and Kayla Faribairn; Nick only 10 seconds behind Tim Robertson who ran the course at the end (not quite at full speed, but enough to glorify the emerging talent that is Nick Smith). My role during the camp was head coach; I wanted to take a step back this year and try pave the way for future years by getting some of the younger guys to do the coaching. We divided the group of kids into 5 different sub-groups or countries (Norway, Sweden, Switzerland, Finland and Denmark) and assigned two coaches to each group. We were extremely fortunate to have the coaches that we did. Each coach brought their own style of coaching which was imperative in creating a dynamic team of coaches, needed for the varying levels of the kids at the camp. The coaches were; Jean Cory-Wright, Lauren Turner, Rebecca Batin, Fraser Mills, Selena Metherell, Shamus Morrison, Tim and Laura Robertson and Nick 'Boss' Hann. I was really impressed with the team culture that developed over the week. One of the highlights for me was seeing all 60 kids sitting down together at dinner; everyone engaged in some conversation about the days activities. Everyone was part of the team and I think a lot of new friendships have been formed. This year we tried a number of innovations in terms of the coaching which I will fully support and advocate for future years. The first was a buddy system that we had between the various sub groups. The more experienced ('D-squaders or Seniors') were paired with the less experienced and after every training we got them talking together about the days training. 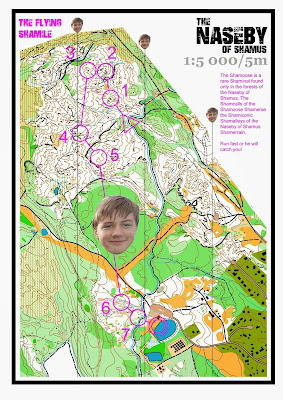 This was a way of getting the kids to coach each other, which I think is a necessary activity in orienteering. The more discussion and communication between everyone, ultimately the better we can become. The second innovation was coaching of the coaches; Jean Cory-Wright offered to do a session with the coaches one night which helped us to improve the way we coached the kids. This was a massive learning experience, which not only brought the team of coaches closer together but also improved the way we offered advice to the kids. I wanted to have the more experienced kids as part of this 'coaching the coaches' session, so most of the D-squaders and Seniors (team Norway) took part. These guys will be the future coaches of the Junior Camp so I felt that it was necessary to get them thinking about coaching. Overall, the camp was a hugely motivating and inspiring week. I think a lot was gained, not just in terms of the orienteering, but friendship, learning and awareness of what needs to be done in the future at school level. A huge thanks to Brian Buschl who organised the camp. 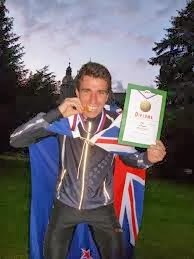 I had not met him prior to the camp, but a week with him has put him up with the likes of Rob Garden, as one of those older guys in Orienteering who truly inspire me. Also thanks to the parents who helped out; they too were extremely supportive and encouraging, making for a relaxed atmosphere. Fraser and I are preparing a camp report, which will be made available, so that you can read about all the awesome things that we did at camp."